Below you will find links to play the "Voices of Hays County History" video documentaries. Just click in the center of the still photo of the video that you would like to see. If you want to order your own DVD of any of these, go to the Books & DVD's Gift Shop section and fill out the order form at the end of the page. This is a collection of oral histories that the Hays County Historical Commission has been recording and editing since 2007. This material is being made available here as 25-minute videos. The entire oral histories have been transferred to audio CD’s and are available to researchers at the libraries in Hays County. More video documentaries will be added to this site as they are completed. Click the photo to view videos. A San Marcos resident who tells of growing up on the Freeman Ranch and her contributions to Hays County as a member of the San Marcos school board. These two residents of Kyle discuss their growing up together in Buda and then buying the Hays Free Press while still in college. Moe sold his interest and became the superintendent of Hays School District, while Bob stayed with the newspaper business and is still active today. 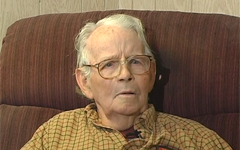 Bradley is a 100 year old resident of Dripping Springs, and tells stories of growing up there, the first horse drawn mail delivery, his ride in a Stanley Steamer, service as a school teacher and driving the first school bus. Gwen relates her story of growing up in San Marcos and attending the "college" there and the history of her father’s cotton gin. She was active in civic causes for the community for the rest of her life. Ollie tells what it was like for a black person in early San Marcos and her growth into a community activist. A strong supporter and lifelong resident of Wimberley, Bill relates the history of the area and what life was like in "simpler times." 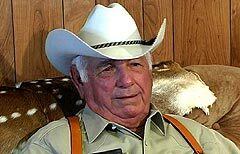 As a 75 year resident of Hays County, RB relates his life in the rodeo and cattle business as a special Texas Ranger out to stop cattle thieves. Twins from the black Antioch Colony near Buda, Winnie and Minnie tell what it was like to grow up in a large family dedicated to "following the crops" across the country and then coming back to settle in Antioch. W.B. 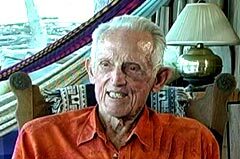 Cochran was descended from the Wimberley family and lived his life in the 4 corners of Hays County. Cecil Clark has spent almost a century in Buda as a fireman, grocery store operator, and citizen who takes care of two local cemeteries. 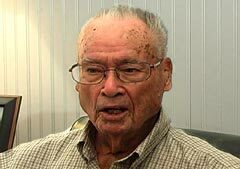 Hear him tell what life has been like and the changes he has seen during the past 98 years. Mary Giberson is a long time resident of Buda and talks about her moving to Texas to start college at UT, then coming to Buda when she married Jack Giberson. 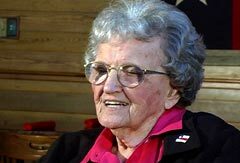 Mary taught art in the Hays schools, worked tirelessly to secure integration, and was responsible for most of the fund raising efforts to build the Buda Library. One of the early members of the Dripping Springs community talking about his experience growing up there and his families service station and his contributions to the city. 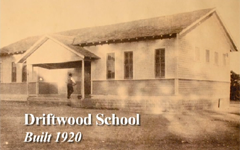 Interviews with 5 former students talking about their days at the Driftwood School in the 1930's. 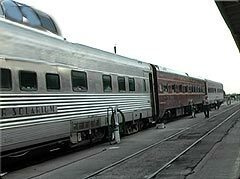 A 30-minute documentary that goes with the Hays County Historical Commission on vintage railway cars from San Antonio to San Francisco as the group retraces the path of Jack C. Hays, for whom our county is named, as he led a wagon train west during the Gold Rush and became the first sheriff of San Francisco. The viewer gets to recreate the trip and learn about the life of "Captain Jack" and his adventures as a Texas Ranger and life in California. 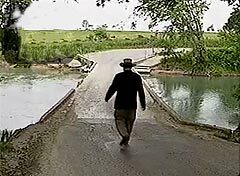 This DVD tells the story of the first Spanish road that connected Texas and where it goes thru Hays County. 11 minutes. This selection of edited oral histories with residents around Hays County is now available through our Books & DVDs Gift Shop.